The Compactor Pocket is versatile and serves a variety of needs with tool storage for any job. 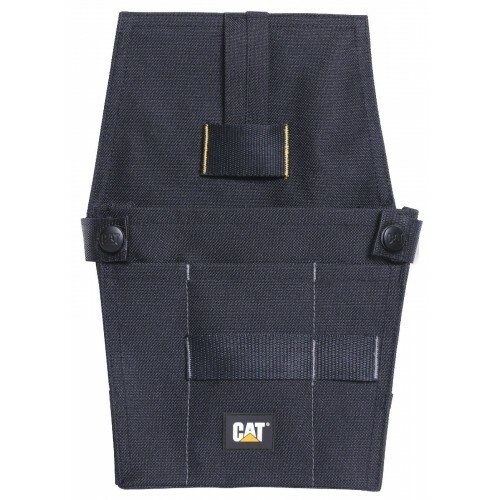 Large pouch with expansion snaps to allow pocket to expand or retract based on your work needs. Additional front facing pockets for quick access to smaller tools. Webbing loops for tools with clips: tape measure, box knife, flashlight. Suggested uses: nails, screws, bolts, screw driver, wrench, pliers, chisel. Designed for the needs of roofers, carpenters, and finishers. Durable 900D polyester exterior and interior to withstand abrasion.